Everyone, meet Santa’s favorite mug of hot cocoa. It’s a little naughty, but so, so nice. And decadent. 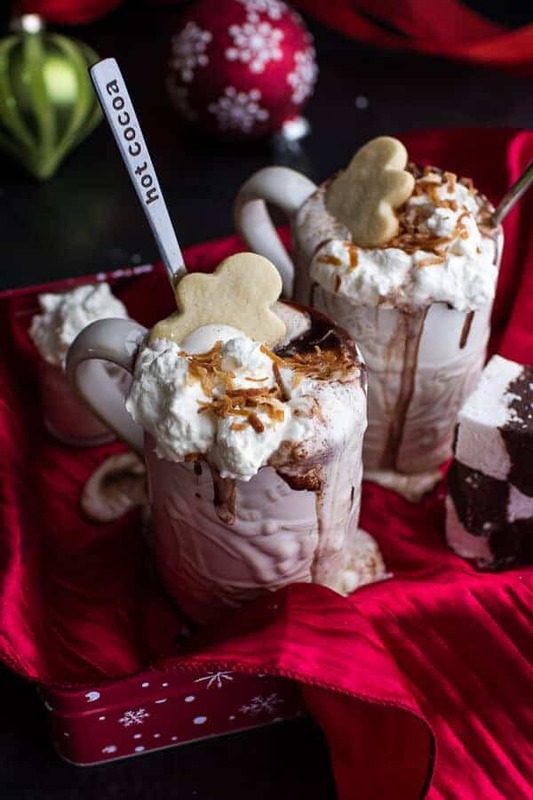 Yes, very decadent, but all hot cocoa should be decadent this close to Christmas. It’s cozy time! Although, right now for me it’s moving time. Or it will be soon. Sometime today, once the barn gets cleaned of dust, hammers, screws and plastic, it’s time to move my little amount of stuff into the barn. Can you believe this is finally happening? It’s been almost exactly a year since I told you guys my plans (like to the day) and I am beyond excited to see the light at the end of the tunnel. It’s been a stressful few months… to say the least. And I am so excited to finally have my own workspace!! It will be so nice to still be so close to my family, but have my own office and home. So ready for this. Don’t get too excited though, while the barn is finally move in ready, it’s not really done done. 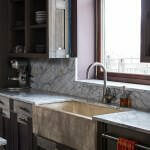 I have a working kitchen and my marble counters are beautiful. So happy I switched from the granite that I didn’t like, to the marble that I LOVE. Now I just need to figure out how to keep it stain free. YIKES. My appliances are all in and working and my bedroom is done. Of course at this point, I only have a mattress and zero furniture, but as long my kitchen is good to go I am happy. I actually have not been down there in days. Meaning I haven’t fully seen the counters in place, the appliances installed and my gorgeous wood floors in my bedroom. I know, what?!? At this point, I am just kind of thinking I’d rather see everything all together, clean and pretty. That way there is still somewhat of an element of surprise and wow. And I know it will be a good surprise because for once I have only heard very good things throughout the last week. Yeah!! So while I am moving in, there is still so much to be done. My whole dream pantry has not even been started yet… because we totally ran out of money, which is also why I have zero furniture. But these things will come within the next few months. Starting with a desk (I dream of big one where I can spread out all my recipes, photos and inspirations), a bed frame and then the pantry. Like I said, as long as my kitchen works I am so happy. And it works! Thinking I may need to show you guys at least a few photos of the kitchen and my pretty doors that came all the way from Mexico (uh huh) pretty soon. I should have a little time to take some photos over Christmas. Sneak peaks may be popping up on Instagram though, so follow along. I mean I gotta show you my counters and stove… and my floors! Ok, sorry, getting a little excited. But really, can you say best Christmas gift ever? I think so… ah but, I may be kind of broke now. It was worth it! With guests that have already arrived and the big crew coming in tomorrow and a few more over the next few days, posts may be getting a bit short. But keep coming back because I actually have too many recipes to share, so I am not skipping one day from now until Christmas. Which means, tomorrow I have something sweet to share too. So good. Today though, naughty nice hot cocoa and spiked eggnog marshmallows. Maybe the best kind of Christmas drink ever. Or really, dessert because this is rich, creamy and full of all things naughty and nice. The base of the hot cocoa is coconut milk. I promise, canned coconut milk makes for the very best hot chocolate. Even if you do not like coconut, use the coconut milk, it’s so silky, creamy and perfect. I spiked the hot cocoa with two liquors. 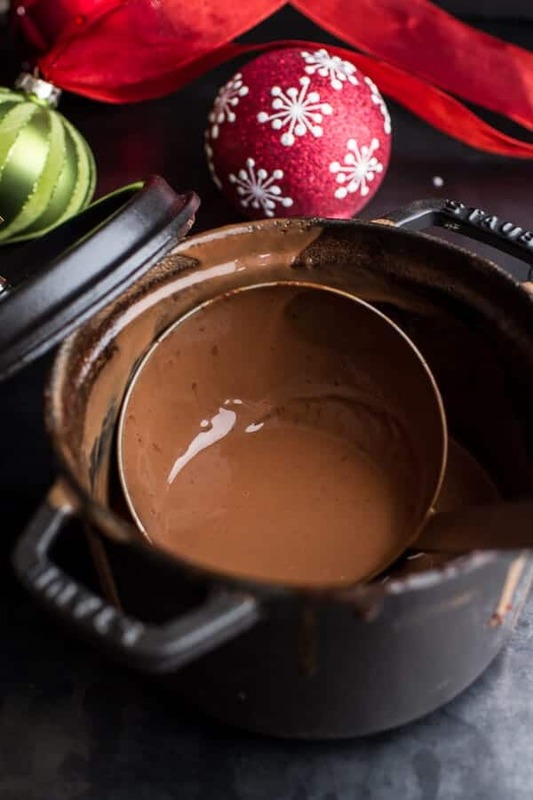 Kahlua, which is one of my favorite ingredients to use around Christmas time – it’s the star ingredient in my mom’s Death By Chocolate that she makes every Christmas Eve (that I will forever love). Plus coconut rum, because well, there’s coconut and rum! Really, you’d think that I loved drinks or something. Honestly, I only do alcohol with my chocolate. Well some wine in my dishes too. I am weird, yes this is true. The hot cocoa is really pretty simple. Just a good balance of chocolate, vanilla and creamy coconut milk….with a little bit of booze for your naughty side. What? It’s Christmas we all need something to drink like this. We do. And the marshmallows. Obviously, you do not have to make these, but you should. Homemade marshmallows always win and they are so easy too! PLUS these are spiked with eggnog and coconut rum. What here does not scream “MAKE ME”? So make um! Oh and I’d be pretty proud if you served your hot cocoa with a side of these sugar cookies. Because hot cocoa and sugar cookies go hand in hand. 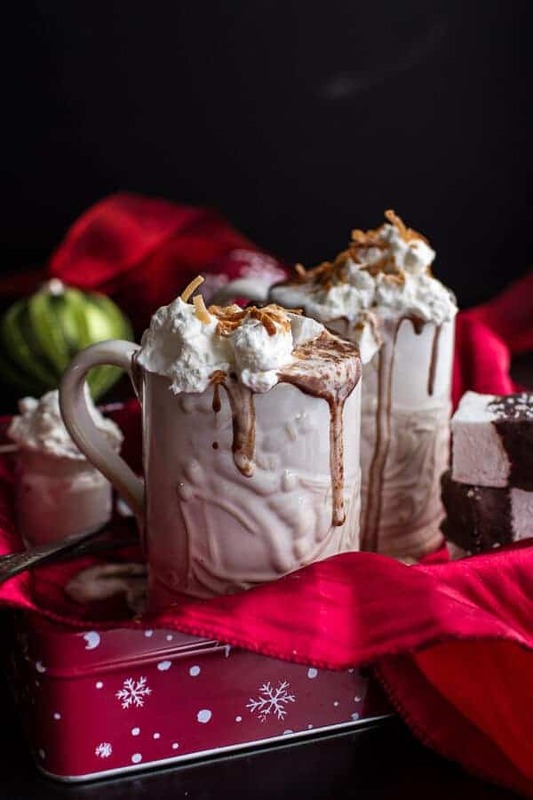 Naughty Nice Coconut KahluaHot Cocoa with Spiked Eggnog Marshmallows. Santa's favorite mug of hot cocoa. Pour the water into the bowl of a stand mixer fitted with a whisk attachment. Sprinkle the gelatin on top and allow the mixture to sit 5-10 minutes. Meanwhile, place the sugar, eggnog, and maple syrup in a saucepan over medium heat and cook, stirring until the sugar dissolves. Bring the mixture to a simmer and cook without stirring until candy thermometer reads 240 degrees F, about 8 to 10 minutes. Pour the syrup mixture into gelatin mixture and whisk on low until combined. Once combined, increase speed to high and beat until thick and fluffy, and mixture triples in volume, about 10 minutes. Add vanilla beans seeds and coconut rum, beat until well combined. Scrape the mixture into the prepared pan. Use a lightly oiled offset spatula to smooth out top (top surface will not be completely even). Set aside to cool at room temperature for 8 hours or overnight. Use a serrated knife and slice into 1-inch cubes. Whisk together the powdered sugar and cornstarch until well combined. 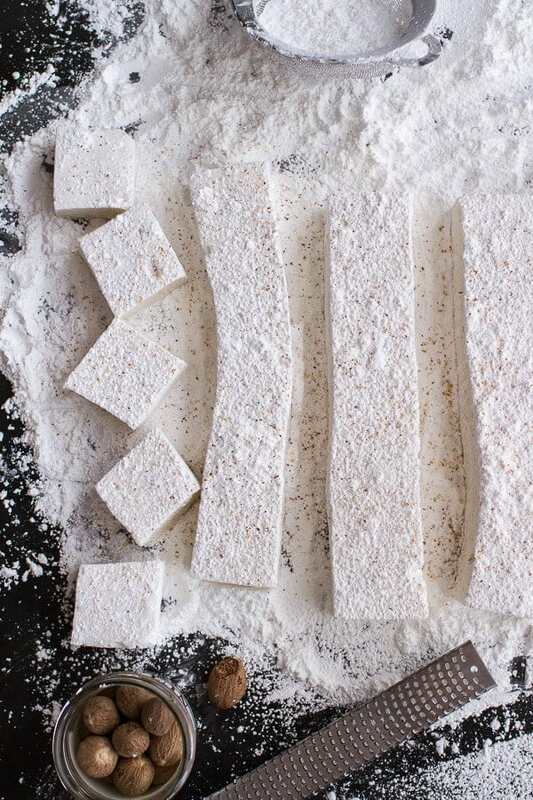 Toss cut marshmallows in powdered sugar mixture. Dust with nutmeg. Marshmallows will keep in an airtight container for up to 5 days. You may also dip the marshmallow in melted chocolate and sprinkle with sea salt. <--DO IT it is so good. In a small bowl, mix together the cocoa powder, coconut sugar and salt. Heat a large saucepan over medium heat. Add the coconut milk. Bring it to a simmer, stirring every few minutes. Sprinkle the dry chocolate mixture over the hot milk, turning the heat down to low. 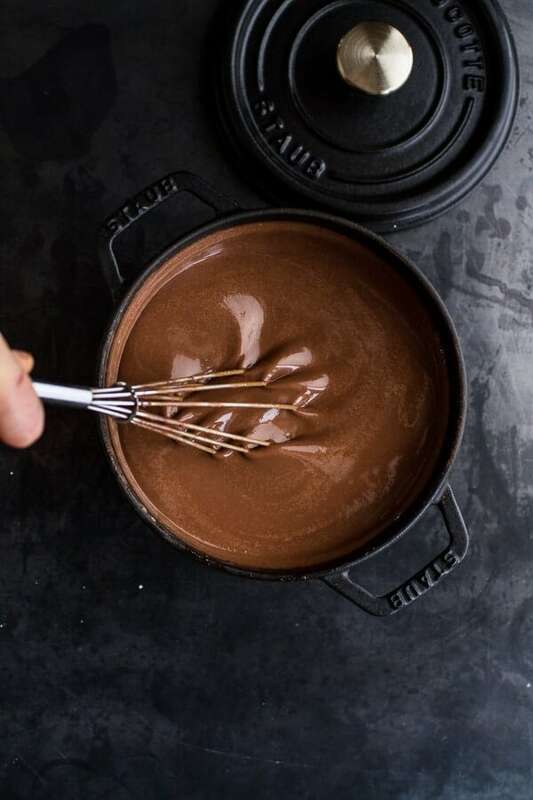 Whisk continuously until smooth (do not let it boil), then whisk in the chopped chocolate and vanilla beans. Stir in the Kahlua and hazelnut liquor. 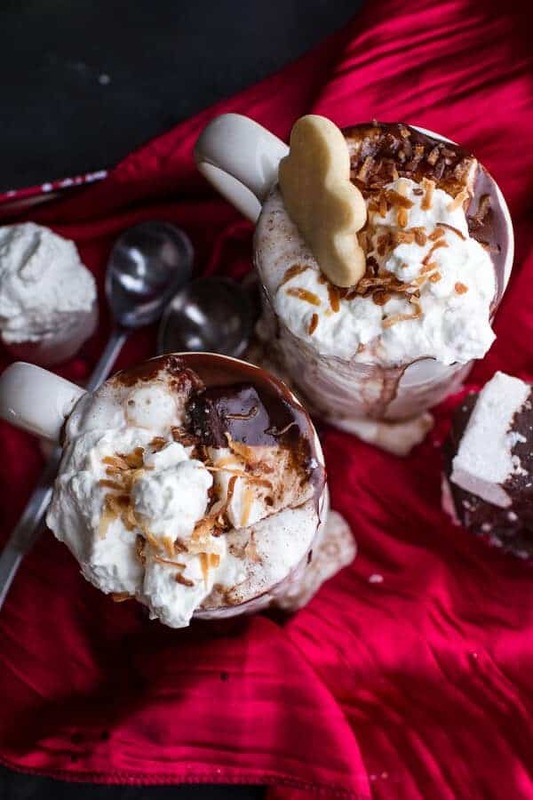 Serve warm with eggnog marshmallow, whipped cream and toasted coconut. JUST yes. I can feel it warming me up just looking at these pics. Time to make more. 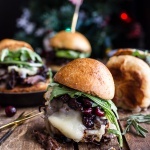 Gingery Steak and Brie Sliders with Balsamic Cranberry Sauce. This has got to be the thickest, chocolatey-est hot chocolate I’ve ever seen! And although I often put one liqueur in my hot chocolate, I’ve never put two in – great idea! I’m so excited to see pics of the barn! I love reading blogs because of how much we can all connect with each other. Like, I feel like I am a part of your barn project just because I have been reading your blog all year. I love love love this hot chocolate. Coconut milk is such a brilliant idea to add! Pinned! Looking forward to seeing pictures of the barn. Hearing that you’ll be posting everyday till Christmas is the best news ever! I’m always so greedy for your posts—and you’re already so generous with them! This hot chocolate looks bananas. Totally amazing, and so clever to use coconut milk. Congratulations on being able to move into the barn and please share some photos we’ve been waiting all year for an update. 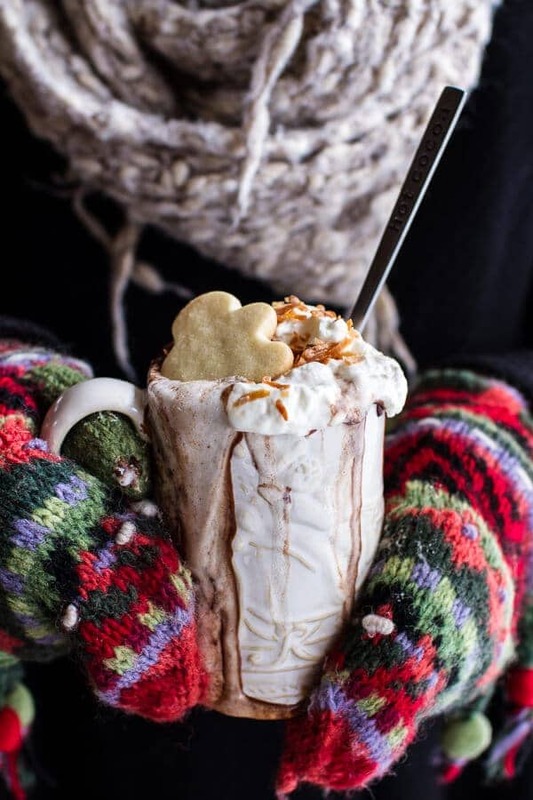 This cocoa is insane it looks so thick…I love the photo with the mittens…so wintry. I’m so happy for you. Way to stick it out! Wahoo! Can’t wait to see those doors! And this hot chocolate looks so yummy! I am SO excited for you that you get your own space, and also SO jealous. I take all my photos in my living room, so it constantly looks like a bomb went off. My husband loves it. BUT, I’ll just give him the ol BEST HOT CHOCOLATE EVER and he’ll forget all about it! Pinned! 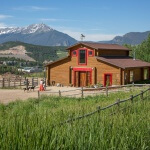 I’m in the process of building a barn on my property as well and would love to see your pictures! I hope you post them soon!!! So naughty and so dreamy!! Gah! Those marshmallows alone are worthy of drool, but paired with that hot chocolate I am totally swooning. 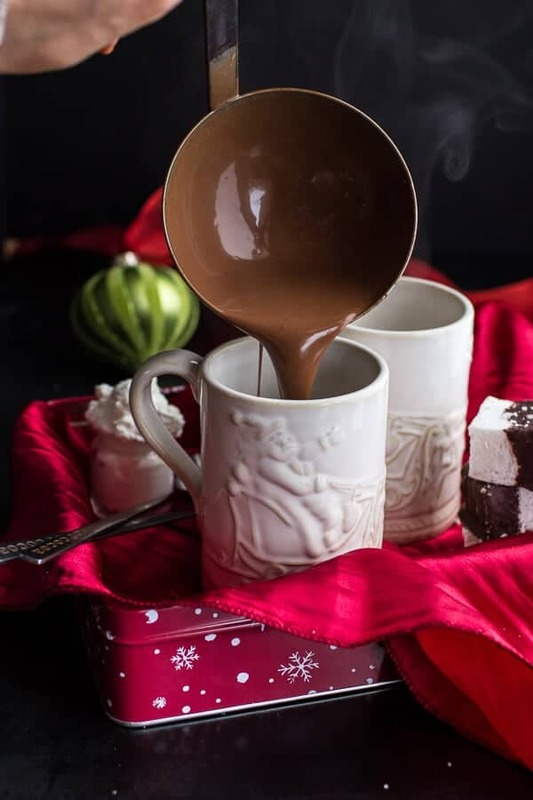 Hot cocoa is one of my favorite winter drinks! Thanks for adding the note about making it in a crockpot; I’ll need to try it! Tieghan, i think i need new computer now– i was drooling so profoundly over the pictures, i think i shortcutting something. 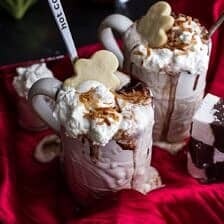 These were THE MOST GORGEOUS pictures of hot chocolate i have EVER seen.. and homemade marshmallows made the recipe stand out in it’s own post!! This hot coco is like a meal!! Just not enough words.. I am glad that your mama was right, and you got to move to your barn just a little of the mark ( she was predicting Dec 17, right?).. i am glad there is a light at the end of the tunnel, and soon you will have your own little place you will call home. The best present ever! 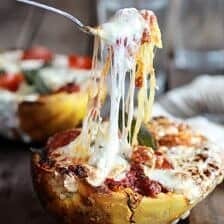 Oh my, this looks incredible! 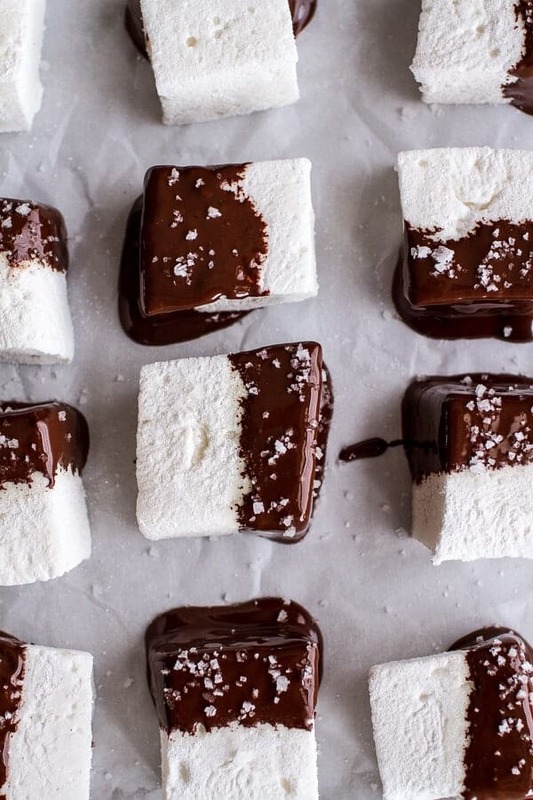 I’ve never made homemade marshmallows, but this looks doable! Also love the photos for this post (as with all your posts). Want to know where I can find those mugs! I need to try coconut milk for hot cocoa! 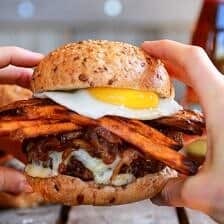 OhMyGoodness this looks wonderful. Those marshmallows!!! Anxious to see the barn pictures. So exciting I am sure. Naughty indeed! 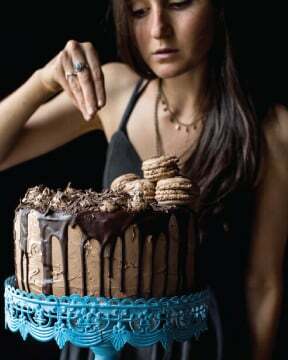 But I’m pretty sure all holiday desserts have to be insanely decadent. The whole thing has me wanting to curl up by the fire with a big blanket on my lap, a little Jazz music playing in the background. How much coconut rum? Not listed in the ingredients. Thanks! It is 1 tablespoons, sorry about! Hope you love this! If you like alcohol with your chocolate you should try fireball in hot chocolate! It’s so cinnamon-y and chocolaty and delicious! Hi there. I’m not seeing an amount for the marshmallow’s coconut rum ? 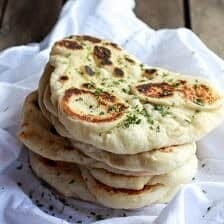 Sounds delicious, and would love to give this recipe a try. Oh my! that homemade marshmallows! I want! I use coconut milk to make hot cocoa and it is THE best ever! So happy to hear your dream came true. Hope you enjoy your Barn with a nice mug of hot chocolate. 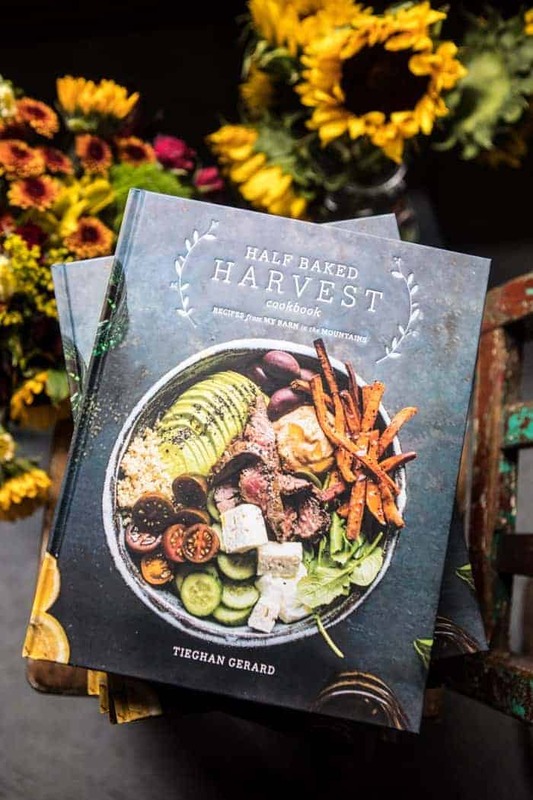 Now on to the next dream –maybe a cookbook! Yup, all holiday foods should be a little decadent. This is one pretty cup of chocolate. 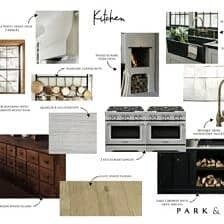 I’m looking forward to checking out all your remodeling pics on IG soon! See, you totally get it! Thanks so much, Nic! Ahhhh these look so gooood! Girl, you never cease to amaze me! BEAUTIFUL! Oh my, if this tastes just a quarter of how nice it looks, it’s a sure winner. Even though it’s warm in LA, I’m still craving hot chocolate! This looks like the perfect recipe to tame my craving–yum! !